Join us for University of Wyoming's Brady Godwin’s presentation on the ecology of hummingbirds in the Rocky Mountains. Learn more here. The photo gallery needs your bird pictures! Please submit your favorite photos for inclusion. Find out more here. Don't venture out on another fieldtrip without one of our shirts, caps or other items with our beautiful ptarmigans logo on them. Find out more here. Thank you for your membership! Your support makes our programs and conservation efforts possible and helps us achieve our mission of connecting people to the natural world. FCAS welcomes new National Audubon Society members by sending one complimentary copy of our newsletter. Join us at our monthly programs on the second Thursday of the month. 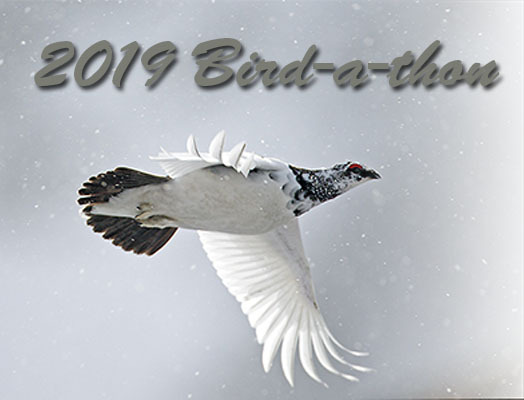 National dues do not cover the cost of printing and mailing the newsletter, so if you’d like to keep receiving the Ptarmigan, please support your local chapter and subscribe. Trying to help a sick or injured bird? These resources are ready to help! As most of you know, FCAS does not publish newsletters or hold chapter meetings in the summer months (June–August). It’s been that way since before I moved to Fort Collins. I’m curious whether our members would be interested in changing that. It would keep us in touch throughout the year, but also would increase our costs and might require an increase in membership dues. Drop me a line if you have an opinion, please. Just because we aren’t publishing in the summer doesn’t mean our activities cease. In fact, this summer might just be our busiest ever. The best way to keep up with us or contact FCAS during the summer months is to follow us on Facebook and check our website from time to time. However, I thought it might help to outline some of the summer activities we already have planned. As you will see elsewhere in this issue of The Ptarmigan, our field trip committee chair Sirena Brownlee has lined up lots of great summer outings. Most summers we only have the monthly Bobcat Ridge surveys. We’re curious to see if these extra summer trips will be as popular as those we offer the rest of the year. Summer trips offer great opportunities to observe late arriving and early departing species that are hard to see in spring and fall. There are also more opportunities to observe nesting, hatching, and fledging. The FCAS education committee also has been busy organizing a wide variety of summer events to reach beyond our membership to the broader northern Colorado community. As you’ll see in Barb Patterson’s article elsewhere in The Ptarmigan, we’re partnering with several local organizations to offer birding classes and hikes, and we’ll take our education booth to several community festivals. Finally, I want to note that the Board of Directors continues to meet monthly throughout the summer. We’ll be ready and available if you have questions or concerns, or if there is an urgent need to engage in public interest advocacy efforts on behalf of our members. FCAS has a Facebook page where we post announcements about upcoming field trips, last minute changes to scheduled trips, and high-lights of most of our outings. Just click on the “Like" button in the plugin to Like our page! Our announcements should then appear on your wall. 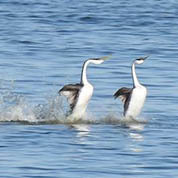 You can also click on "Fort Collins Audubon Society" to be taken directly to the Facebook page. Note: All field trips are also announced in the Ptarmigan and on our website. Project FeederWatch at the Habitat Hero Garden at the Senior Center. Time commitment: 1/2–1-hour count of feeders for two consecutive days weekly from January to April 5. Training provided. Wildlife camera monitoring at the Senior Center. Time commitment: twice a month, training provided. Two FCAS guided bird hikes at the Senior Center and Rolland Moore Park. Time commitment: May 8 and May 29 from 9–11 a.m. There are two beginning birding classes scheduled on May 15 and May 22. This summer we plan to participate in three community festivals, lead three workshop/hikes at Lory State Park, do a presentation for the Sierra Club, and teach fifth graders at the Montessori School. Stay tuned for more birding! Serving Larimer County, Colorado, and Surrounding Areas. 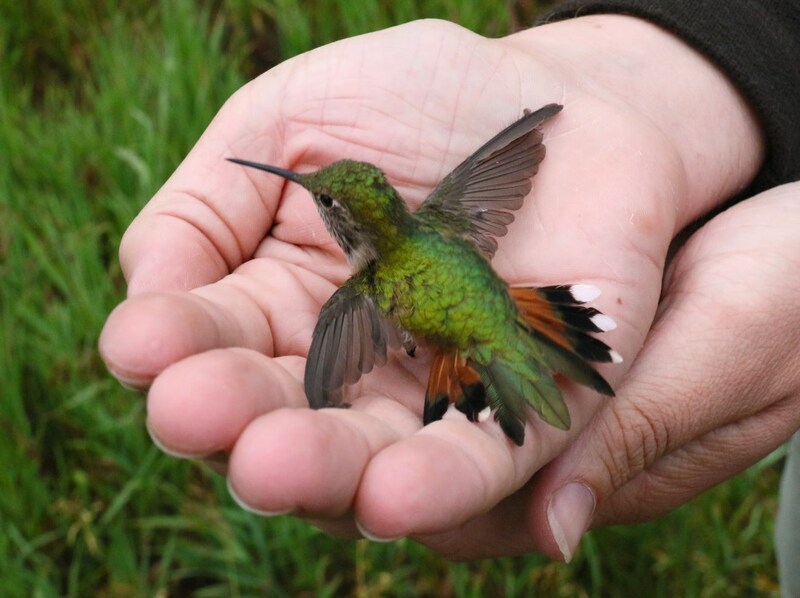 The Fort Collins Audubon Society is a non-profit organization dedicated to nature appreciation, environmental education, and conservation activities. To promote the appreciation, conservation, and restoration of ecosystems, focusing on birds and other wildlife, through education, participation, stewardship, and advocacy.